You won’t get very far in learning about search engine optimization before you encounter the question of on-page versus off-page optimization. While both types are meant to work in conjunction with one another, is there a clearly more important option? Which should you focus on first? Actually, there is no clear-cut answer here. What’s right for your business may be completely wrong for another one. 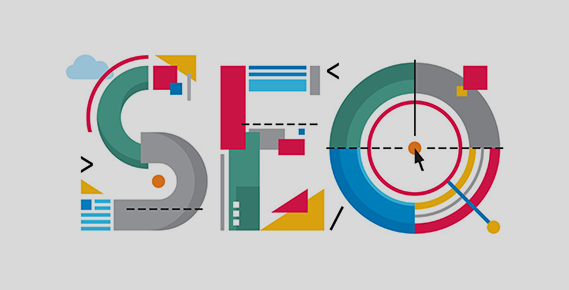 Understanding the Difference While both on-page and off-page SEO are part of the sphere of search engine optimization, they are very different. On-page optimization includes a host of things that need to be done on your website in order to ensure better rankings through Google and other search engines. Off-page SEO is really just link building (although it has evolved considerably from the days when link exchanges and buying links worked well). What Is On-Page? On-page SEO comprises a vast number of tactics and strategies. It includes the likes of keyword research and content creation (articles and blog posts, for instance, as well as press releases and more). It also includes meta content, image alt tags, your internal linking structure and a great deal more. It’s immensely broad, but it can be summed up as “anything you directly control in the code or content of your site,” according to MOZ. What Is Off-Page? As mentioned, off-page optimization is essentially link building, but it’s not link building as you know it. It doesn’t include link farms, link exchange schemes, paid links, super-low value links or aggressive anchor text. True off-page optimization through link building should be done above board, following Google’s link building playbook. The Right Mix Before you get the wrong impression, there is no single ratio of on and off-page optimization that will carry you through the life of your website. You can’t balance your efforts 50/50 and expect to see success, because the online environment isn’t static. It’s dynamic. Therefore, you need a dynamic SEO strategy in order to carry you through. It must be capable of adjusting to different trends that will affect your traffic, swinging from mostly on-page at one point to mostly off-page at another, but never stopping at either. According to MOZ, “When you first build a new site, you’re going to need to invest in your site structure, keyword research and on-page aspects. That mix may be 100% or 90% on-page for a couple of months. When that structure’s in place and you launch, you’ll still need to build content, but you’ll also want to get your link building in gear.” In addition to where you’re at in the website lifecycle, there’s the question of site type. For instance, if your site is largely content-based, then you’re naturally going to focus more on on-page optimization. If you run a resource-based site, you may need to go as heavy as 70% into off-page optimization. The best defense is to work with a company that understands there’s no one-size-fits-all solution to the optimization game. At Peppersack, we customize solutions to meet your needs in terms of website lifecycle, website type, and your ultimate goals.